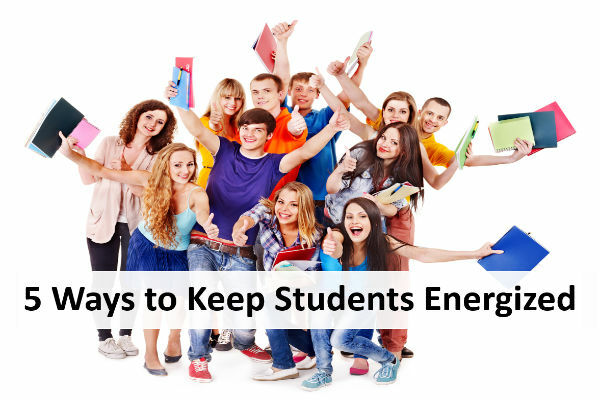 As another school year winds down, many teachers are faced with the same question: how do I maintain the energy level of my students as summer approaches? Keeping kids busy, interested, and involved is always a difficult task, but it becomes even more important as the view outside gets brighter. Try some of the five suggestions below to keep your students active, focused, and learning even as the sun shines outside of your classroom window. #1 Get on your feet! One activity that always gets the blood flowing is asking kids to move around the room to different learning stations. Each station contains a different task related to a conceptual or thematic assignment. After collecting data from each station, students craft a thoughtful answer using the evidence from each station. The kids get to move around for an extended period of time, allowing them feel more in control of the pace of their learning, while still reinforcing the skills of critical thinking. It also allows them to works in small groups in a more informal setting than the typical group activity. A guest speaker can motivate students in ways that their everyday teacher cannot. Bringing in a dynamic expert in a field or subject that relates to your curriculum will enhance their content knowledge and also let them hear a different voice than yours for the first time in eight months. Another method of bringing experts into your class is to use distance learning with programs such as Skype and Google +. Skype in the Classroom lists institutions that offer speakers and lesson plans that can be scheduled in advance, such as the National World War II Museum in New Orleans. Work with your guest to create a complete learning experience that will allow you to prep your students for their topic and also debrief after the speaker leaves. There is a plethora of easy to use technology that allows students to create videos, newscasts, and reenactments. A flip camera, tablet, or even student cell phones can also record video to be uploaded to a third party website, such as WeVideo, for editing and professional touches. Using video to replace a traditional project or formative assessment allows the students to express their knowledge in ways that multiple choice questions do not allow. Bulletin boards contain up-to-date assignments and student work, but they can also can serve as marker where you’re at in your curriculum. Have your students create artistic representations of recent content to be put on display. Give parameters as to what they can create, such as posters, charts, cartoons and the like, and give them the time and freedom to generate something that represents what they have learned. Allowing students to choose the direction of a public display motivates and energizes them to take ownership and pride over their learning. Spice up a traditional story by adding movement. Have students make up motions to go along with a story. Let them rap a poem. Or bring in text that incorporates movement, such as a movement story. Even just having students stand up when answering a question or making them recite what they’ve learned while walking around the room can give them a much needed energy boost. It’s impossible to push your students full throttle every day, but knowing when to push their buttons and create some enthusiasm for learning is important as the year winds down. Use the ideas above to reinvigorate their love of learning. And to get students moving in between learning activities, try incorporating some fun brain breaks into the class period.